Naomi Mitchison is one of Scotland’s most prolific and impressive 20th century writers, although her work has not received the attention it deserves. She wrote The Bull Calves during World War II which she spent mainly at Carradale House in Kintyre and it was a novel that was key to the reinvention of herself as a Scottish writer, after nearly 20 years as part of the London literary scene. 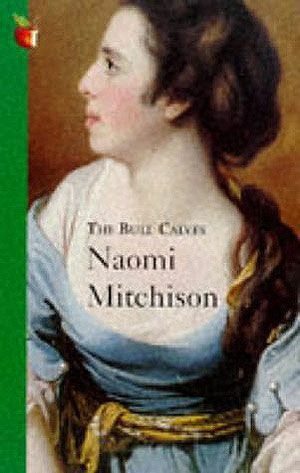 The Bull Calves is a landmark novel, in terms both of Mitchison’s career and of Scottish historical fiction. Like Neil Gunn, Mitchison saw the past as a way of highlighting contemporary concerns, and was writing at a time when the Highlands were in economic and cultural decline. Here, she invokes parallels between Scotland in 1947 and 1747, when the novel is set, while drawing on her own family (the Haldanes of Perthshire) and incorporating historical figures into her narrative. In a highly charged atmosphere of uncertainty and distrust, Jacobite sympathisers and political realists struggle to come to terms with the aftermath of the Jacobite Risings and to engage with the future of a ruptured Scotland. Like much of her fiction, the novel examines issues of communality and conflicting loyalties. At the centre is Kirstie Haldane, member of a Whig family, married to Jacobite William Macintosh of Borlum. The richness and warmth of their relationship ensures that the novel, ranging over dark events and deep divisions, ends on a note of optimism. Mitchison projects into the book her personal experience of life in Kintyre, the impact of war and the loss of her seventh child who survived only one day. She was increasingly concerned with the post-war future of the Highlands, and for many years contributed energetically to Highland politics as well as being a powerful literary voice.